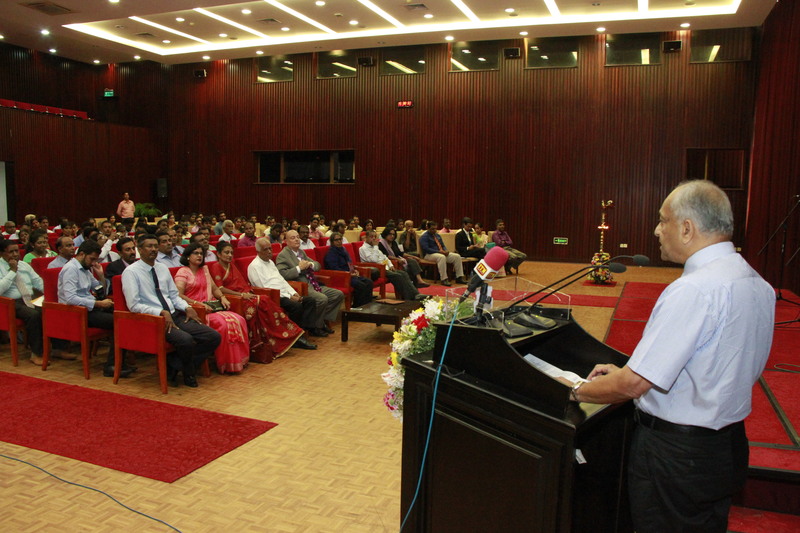 The Sri Lanka Press Institute held the Convocation Ceremony to award certificates to 132 journalists hailing from all provinces of the country, for their successful completion of the ‘English for Journalists’ course. The event was held on Tuesday, October 24, 2017 at the Bandaranaike Memorial International Conference Hall (BMICH) and Mr. Jim Russo, Director, Press, Cultural and Academic Affairs of the U.S. Embassy was the Chief Guest at this event. With the aim of supporting journalists to enhance communication, reading and writing skills to suit modern journalism, the Sri Lanka Press Institute launched the ‘English for Journalists’ program in 2015 with the support of the United States Embassy. Classes were conducted in all nine provinces of the country at different stages since the inception of the project. The project was designed to benefit journalists from the Sinhala and Tamil media, working at the regional level. Totally 197 journalists were selected from nine provinces. This English language program was designed by Ms. Dinali Fernando, Head of the Department of English of the University of Kelaniya, specifically designing to support journalistic needs with the necessary linguistic tools that would enable them to develop their professionalism. Within the three month course, the curriculum, designed by the language experts was aimed at giving the students best possible practical knowledge. The course was conducted at regional level for the convenience of the journalists from outstation towns. Skillful experienced teachers were selected from those localities to conduct classes. This was an 18 months project managed by the Sri Lanka Press Institute, funded by the US Embassy.